Let’s join together in fitness! 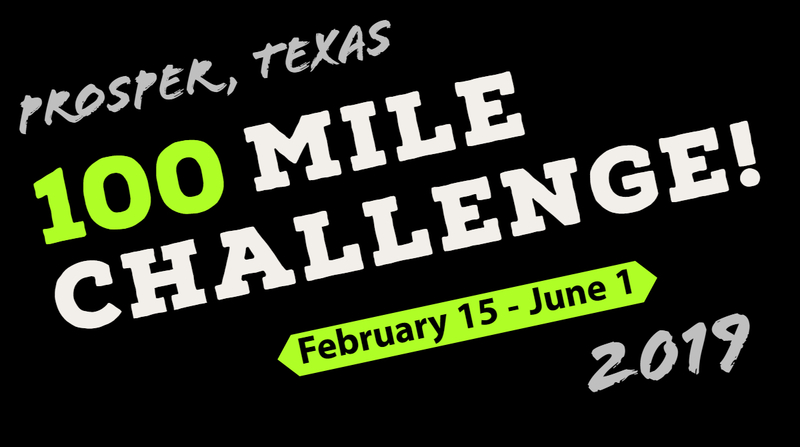 The 2019 PROSPER 100 MILE CHALLENGE runs February 15 through June 1. Mayor Smith and the Prosper Parks and Recreation Department invite all Prosper residents to join together in fitness and walk, bike or run at least 100 miles in a little over 100 days. Register today! The 2019 PROSPER 100 MILE CHALLENGE runs through June 1, with completed Tracking Sheets due by June 6. Residents who complete and submit Tracking Sheets by the deadline will be recognized at a Town Council meeting and be entered to win a FitBit! Do you accept THE CHALLENGE?